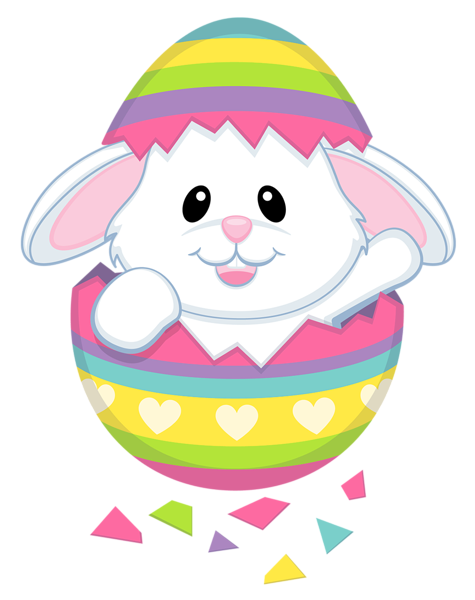 The Easter holiday will commence on Monday 8th April 2019. Students return on Tuesday 23rd April 2019. The Priory School are proud to announce that we are collecting stamps to support the UK Air Ambulance. The UK’s Air Ambulance Services are charities which receive no government funding and reply entirely on charitable donations to continue flying and responding to life threatening medical emergency. They can recycle your used postage stamps into funds to help these vital services. All kinds of stamps are welcome, on or off paper. Please send them into the school office and we will be happy to send them to their required destination. The Garth School in Spalding are delighted to announce they have maintained their ‘Outstanding’ Ofsted status from June 2015, following a short inspection last month. Inspectors were particularly impressed by the dedication and hard work of staff that goes into the learning experiences they provide for the pupils. 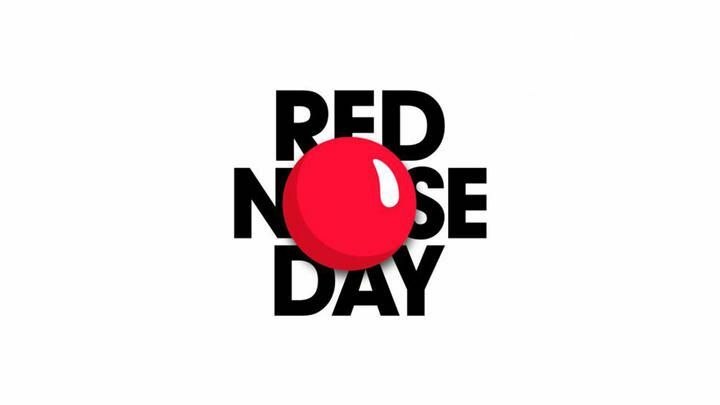 On Friday 15th March 2019, The Priory School will be celebrating Red Nose Day. Pupils are invited to wear non-uniform for a donation of £1. 100% of the money raised will help to support vulnerable people and communities in both the UK and internationally. As part of their Spiritual, Moral, Social and Cultural (SMSC) provision, pupils at The Garth School explored the local community of Spalding to understand the diverse cultures in the area. The day started with classes researching various meals that are key parts of Eastern European cultures. They wrote shopping lists and prepared for an afternoon of cooking, whilst also singing songs, reading stories and learning the first language of peers that are from countries such as Russia, Lithuania and Poland. 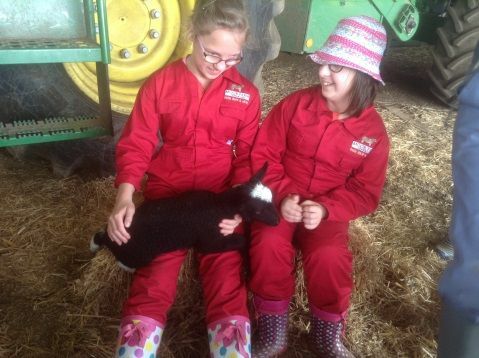 The Garth School meets the needs of pupils aged between 2 and 19 and is well equipped to meet their complex, severe and profound learning difficulties. The over-riding aim of the school is to provide an inclusive education in the most real sense; preparing pupils to take a confident and active place in society, be well prepared to meet the challenges of adult life, including the world of work, continuing education and independent living. Further skills were developed during the afternoon as pupils put their culinary skills to the test, making various different types of pancakes including traditional ones and Russian potato pancakes! Pupils also experienced different crafts such as creating Polish scarecrows. Staff at The Garth School provide all pupils with six SMSC days throughout every academic year, each one focusing on a different over-arching theme. Diwali and Chinese New Year were previously explored before this most recent adventure. World Book Day 2019 will be celebrated on Friday 8th March. Pupils at the Priory School are invited to attend school wearing a costume. During the day students will complete a wide range of exciting World Book Day themed activities, ending with a special assembly. During assembly, one boy and one girl will receive a £10 book voucher for the best costume. Pupils will also get the chance to use a variety of art and craft resources to dress up a potato to look like a famous story character. The best design will receive a £10 book voucher! 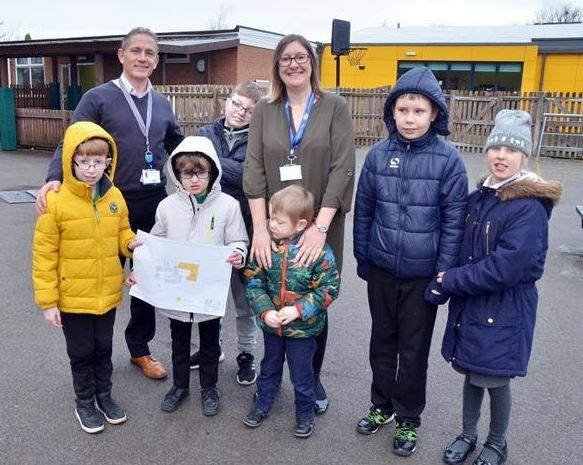 The Priory School in Spalding are delighted that their application to the Woodlands Trust for new trees and shrubs for their Forest School has been granted. The new greenery is scheduled for delivery and will be planted in November. Following adverse weather, numerous trees in The Priory’s Forest School have been damaged and blown down. Yet the Woodlands Trust’s ‘Free Trees for Schools and Communities’ programme has allowed for the school to apply for 345 new trees and shrubs. Such an inclusion will increase the density of the area, encouraging more wildlife to visit the Forest School. Kathryn Greene, Forest School and Horticulture Co-ordinator, explained: “The pupils at The Priory School are very much involved in every aspect of the Forest School from Years 7 through to 11. 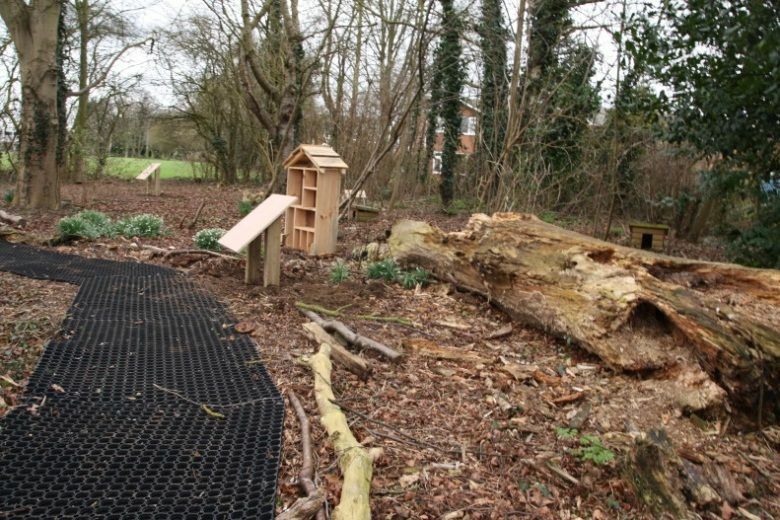 It is such a wonderful area we have and the ‘Woodland Trust Trees’ will promote many learning opportunities, as well as encouraging more wildlife to the area. I would like to inform you that the parent carer coffee morning arranged for 1 March has had to be cancelled. The next coffee morning will be on Friday 5 April 2019 at 10am – 12noon. The original guest speaker is no longer able to attend, so I will be contacting other agencies to see if there is anyone available to join us. If there are any particular agencies you would like me to invite, please can you let me know asap and I will do my best to contact them. If not, I am happy to hold a coffee morning so you can all share information and experiences and offer support to each other if required. I will send a letter out nearer the time to let you know what has been arranged. There is a vacancy for an elected Parent Governor on the Governing Body of The Spalding Special Schools Federation. Candidates must be a parent of a registered pupil at the school. Candidates must provide a proposer and seconder to their nomination. The re-modelling will be the first major work since The Garth School opened its doors almost 50 years ago. The works are scheduled to start in the spring of 2019. Five new classrooms are planned (significantly larger than the existing ones) at the heart of the project, along with new therapeutic and specialist spaces. Similar ambitious works are also planned for The Priory School in 2021. Classrooms will also have break out/calming spaces for pupils who are having a difficult day or are in crisis. Mr Bland said, “Build plans also include the addition of several new toilet and hygiene suite areas and the conversion of some existing classroom spaces into a ‘parent room’, a physiotherapy space and visiting professionals’ base. “Outdoor play areas will be re-located to accommodate the extension and a new internal courtyard will form a feature of the expanded building to act as an external sensory space. County special schools are in line for major improvements after a partnership including the County Council, Lincolnshire Parent Carer Forum and Heads of special schools helped secure £50 million in funding. The school term and holiday dates for the 2019-2020 academic year have now been finalised. To view these, please go to the 'Parents Information' tab and then select 'Term Dates'. A printable copy is available underneath the 2018-2019 school term and holiday dates. 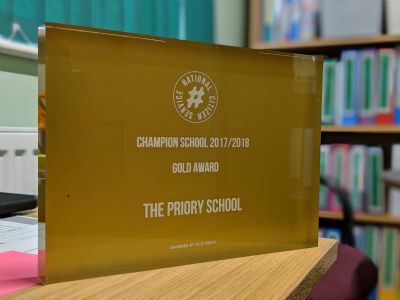 The Priory School have been awarded Gold Championship School status for their involvement in the NCS programme. During the summer term of last academic year, 16 pupils from the Priory School took part in a bespoke National Citizen Service (NCS) programme. During the project, pupils developed their independence, problem solving and entrepreneurial skills, boosting their CVs in preparation for finding employment. Pupils engaged in a variety of adventure activities on the programme, working together as a team to achieve the desired outcomes. Part of the project also involved a residential, helping to develop key life skills for the pupils. Mr Flatt, Assistant Head Teacher at the Priory School, had the following to say regarding the project. 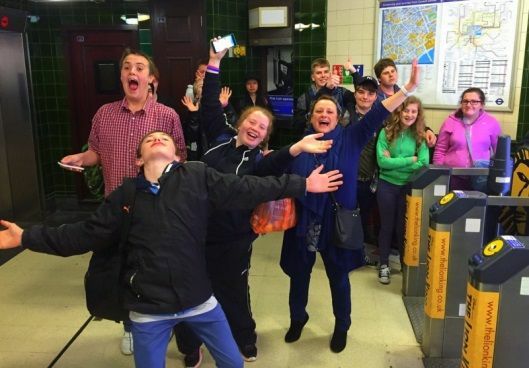 “Our first bespoke NCS project was a success with pupils achieving so much during the experience. Throughout the year we worked incredibly hard to ensure the project in place was accessible and appropriate, yet challenging for our pupils. Mrs Derrick, Higher Level Teaching Assistant (HLTA), who teachers KS4 pupils outdoor adventure at The Priory, also supported pupils during the 3-week project and made the following observations. “Some of our young people find being away from home a challenging experience due to their complex needs but many welcomed the opportunity to take part in the NCS Project. Tuesday 5th February represented Chinese New Year and this time around it was the Year of the Pig. Celebrated on the first new moon that appears between the end of January and culmination of February, various festivities including dancing, fireworks and meals are utilised to celebrate the beginning of the new year on the traditional Chinese calendar. The Garth School celebrated the incoming Year of the Pig with a range of activities throughout the day as part of their Spiritual, Moral, Social and Cultural (SMSC) provision – a prerequisite of the school curriculum underpinning British Values. Pupils enjoyed learning about this celebration and engaged in stimulating and varied educational experiences and activities centred on this theme. Highlights included Chinese cooking; tasting and investigating Chinese foods; tactile and sensory exploration of cultural artefacts and clothing; and more formal teaching and learning focusing on how and why this celebration features so heavily within the Chinese culture. Staff at The Garth School provide all pupils with six SMSC Days throughout every academic year, each one focusing on a different over-arching theme. The SMSC Day in November 2018 centred on Diwali and the next SMSC Day will be taking place on 5th March, with the planned theme being ‘Diversity within the Local Community’. Art Club is cancelled today but will take place again next Monday, 11 February. We would like to thank all those businesses in Spalding and beyond who very kindly support our students with work experience placements throughout the year. Work experience is a very valued part of the curriculum for our senior students and has led to employment after school. All the latest news from CIT schools - click here for the interactive newsletter. In recognition of the English Football League’s (EFL) Day of Disabilities, Peterborough United mascot Peter Burrow spent a morning at The Garth School, talking to pupils, posing for pictures and playing games with each class. On the International Day of Persons with Disabilities, the EFL’s Day of Disabilities is a celebration of the work of the 72 member football clubs and the inclusive environments they create for disabled supporters. The Posh Foundation, which is the charitable trust of Peterborough United, will be coming into school after Christmas to run training sessions for pupils of all needs and abilities. They are also running an event at the London Road stadium later in the new year which The Garth School are hoping to be a part of. Pupils, parents and carers will be able to enjoy a match day experience in the near future after Peter Burrow left a collection of free tickets for the school community to enjoy. If your child missed the FLU vaccination in school it is not too late! Please click on the link for where, when and how they can get the vaccination. Our annual Christmas Raffle will take place at the end of term at the Christmas Concert (21 Dec). Tickets are now on sale at school reception. 19/11/2018 The Garth School does Children in Need in style! The Garth School enjoyed a fantastic day of fundraising activities for Children in Need as pupils, staff and families enjoyed bake sales and a fashion show where they paraded their spotty outfits on the catwalk. 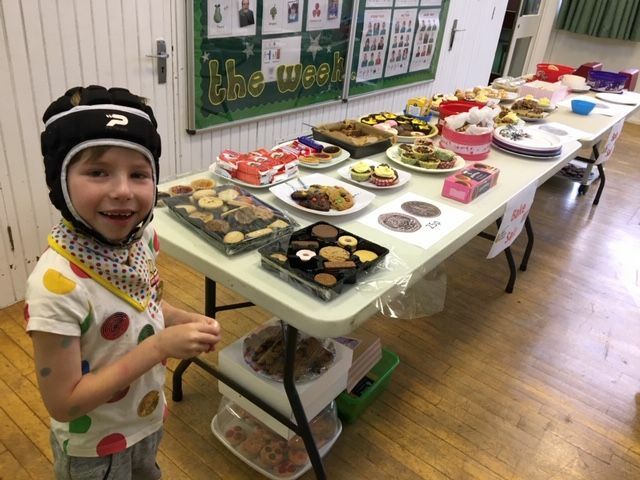 Friends and families were invited to join the youngsters at the bake sale to socialise over a cake and drink whilst raising funds for the famous annual event. There were also Children in Need-themed fun activities and party games in some of the classes. After lunch, there was a fashion show with an array of impressive costumes. With parents and carers returning to enjoy the show, pupils took it in turns to show off their outfits under the disco lights as their peers clapped and cheered. There were also prizes for the best dressed youngsters and adults. Click on the link to watch the Garth Children in Need video. Considering the school only has 54 pupils on roll, the grand total of £228.04 was very impressive. On Wednesday 14th November 2018, The Priory School will be holding a celebration evening for all of our 2018 leavers. All parents, carers, siblings and friends are invited to attend this wonderful evening. Celebrations start at 7pm and will finish at 9pm. 05/11/2018 The Priory School needs your votes! We are bidding to bag a cash boost from the Tesco Bags of Help initiative. Tesco teamed up with Groundwork to launch its community funding scheme, which sees grants of up to £4,000 raised from carrier bag sales in Tesco stores awarded to local community projects. The Priory School is one of the groups on the shortlist, raising funds for the Safer Sport in School project. We received money from the Lottery for part of the project earlier in the year. To complete this project, we need to install a rubber court with sport markings for football and basketball, along with secure fencing to enclose the sport court. Other organisations who use our facilities out of school hours, will also benefit from this improved facility. 'Kids' support disabled children, young people and their families with an extensive range of services across the country. They are offering a Youth and Community Club at The Garth School and the schedule of events up to the end of year and contact information can be found on their poster (please click here for the poster) or telephone Kerry Moss 07976 979919 or Katy Ablewhite 07966 212286 for more details. 10/10/2018 Are you eligible for a free flu vaccination? If you are caring for someone, you may be concerned about how being ill will affect you as a carer and the person you care for. If you are the main carer for an elderly or disabled person who may be put at risk if you fall ill, and/or if you are in receipt of Carer’s Allowance, you should be offered a free flu jab, according to government policy. Speak with your Doctor or Pharmacist about the flu jab and let them know you are a carer. Inspection of Lincolnshire local area’s effectiveness in identifying and meeting the needs of, and improving outcomes for, children and young people who have special educational needs and/or disabilities from Monday 01 October 2018 to Friday 05 October 2018.
n meets the needs of these children and young people so that their outcomes and chances of participating fully in society improve. The views of children and young people who have special educational needs and/or disabilities, and the views of their parents and carers will be gathered during visits to a number of early years settings, schools, colleges and specialist services. These views are critical to the inspection process. During the inspection, Ofsted and CQC inspectors will be keen to speak to as many children and young people and their parents and carers as possible. Inspectors will not be visiting your child’s provision. 1.The inspection will include an online recorded webinar to allow Lincolnshire’s parents and carers of children with special educational needs and/or disabilities to contribute. The webinar will take place from noon on Monday 24 September 2018 until midnight on Tuesday 02 October 2018. It will be led by the lead inspector, who will ask parents and carers about their views and experiences on how effectively Lincolnshire is fulfilling the above responsibilities. Our Safer Sport in School fundraising total has now reached £16,000 meaning we are over halfway to our total of £31,000 - our grateful thanks to all our sponsors. Here at The Priory School we are once again opening our doors to all parents and carers for our coffee morning. This will be held on Friday 5th October 2018 from 10am - 12pm. Amanda Barber is the Learning Mentor/Safeguarding Officer at the school and organises a parent/carer support group to meet on the first Friday of every month (term time only). The group has become very well attended over the past 10 years and guest speakers are often invited to inform both parents and carers of the services and facilities available for anyone with a child with special needs. 13/09/2018 Exotic Animal Experience at The Priory School! Animals UK are bringing an exotic animal experience to The Priory! On Monday 15th October, students will get 45 minutes to learn all about the animals, as well as having a cuddle. The range of animals includes tarantulas, millipedes, snakes, lizards, tortoises, hedgehogs and skunks. A CIT article showing how Nathaniel was supported by Gosberton House and Priory School to help him towards his dream of a career in astrophysics. A great encouragement to all. 25/07/2018 All the Fun of the Fair! The Garth School held their annual Summer Fair on Saturday 7th July. Organised by their Friends Association - FOGS, the event was held on a scorching hot day and brought a record turn out from school kids, relatives, friends and families. Garth & FOGS staff worked together setting up stalls and games for the Fair goers! There was a Disco Dome Bouncy Castle, ice creams on sale from ‘Laddies of Holbeach’, and a full barbeque from Ye Old Abbey of Crowland. The stalls included a Tombola, Hoopla, Squirt the Sweets, Higher or Lower, Face Painting, Hair Styling, and a new one for this year – The Bush Tucker Trail! Garth Teachers, Charlie and Tess, even braved the stocks! The raffle attracted a lot of attention this year too, with a £200 1st prize and a £100 2nd prize! Friends and families of The Garth were very generous on the day and we had many pupils join us, including some past students and their parents! FOGS managed to raise £566 in total which will go towards upgrading the existing light room, to a multi-sensory room, including some new portable sensory equipment. 12/07/2018 Sports and Federation Family Fun Day at The Priory School TODAY! The Garth and Priory Schools are holding their Sports Days today and will come together at The Priory School for an afternoon of fun and games. 10C and 10F took part in a Money Sense workshop created by NatWest to focus on real life financial situations. Mohommad Chauhan, a Community Banker from NatWest, came to co-deliver the workshop and provided real-life experience and support throughout. All pupils benefitted immensely from the workshop and it proved to be an eye opening experience for some when thinking about their own money and how they will manage it in the future. Thank you Mohommad! Unfortunately the guest speaker we had arranged is unable to attend our next parent carer coffee morning on 6th July 2018 at The Priory School 10am – 12noon, so we have decided to hold the coffee morning for Parents and Carers to have a catch up and share any new ideas and/or information you may have gained over the year. This invite is also to welcome new parents and carers of pupils who are joining the Priory School in September 2018. This will give everyone an opportunity to meet each other in a friendly relaxed environment. Pupils have arrived safely at Caythorpe! School will be closed for the half term holiday next week and re-opens on Monday 4 June 2018. We have a vacancy for an Assistant Head Teacher at the Priory School. Please click here for further details or check out the Vacancies section on the News Page. Closing date is 18 May 2018, and interviews will take place week commencing 21 May 2018. Gosberton House Academy are celebrating their 65th birthday! Please join for an afternoon of celebration on Saturday 9th June from 12 noon until 4pm at Gosberton House Academy. On Tuesday 24th April we went to Baytree Owl and Wildlife Centre. The reason why we went is because we saw a buzzard in our Forest School area and wanted to learn about different types of birds of prey. Mark the bird expert displayed three birds and a baby owl, they flew all around the tunnel we were sat in and almost landed on our heads! Mark was very interesting and knew lots of things about birds of prey. We saw owls, kookaburra, kestrel, eagles and lots more. My favourite part was stroking the baby owl that was only 2 days old! The Priory School is trying to raise money to purchase a used car to allow the children to gain hands-on experience of car mechanics. Any bid I write would take up to three months, so we are crowdfunding to hopefully raise that money sooner. Please go to our News page (Vacancies) for details of this post. On Friday 16th March 7T held a cake sale to raise money for the Guide Dogs for the Blind charity. We have been learning all about the charity and how guide dogs support people with visual impairments in PSHE lessons and were lucky enough to be paid a visit by Elizabeth, Sheila, Dennis and their dogs Ozzy and Nanna. The cake sale raised an impressive £78.52, thank you to all pupils and staff for your donations and custom! Councillors across South Holland District Council have clubbed together to support our project at The Priory School. Barrie Taylor, Head of Site at The Priory School said, “We were thrilled to receive the lottery money last year and we are now fully focused on completing this project so that the pupils can enjoy a safer, fully enclosed sports court. Other organisations, including Action for Children and Spalding United Youth Teams, will also benefit from this new facility once completed. To celebrate World Book Day, 7T visited Bookmark in Spalding to spend their World Book Day vouchers. After spending their money and vouchers, pupils and staff were invited into the café to read their books and were treated to some drinks and delicious shortbread courtesy of Bookmark. The pupils even got the chance to meet the author, Margaret Dickinson, a Sunday Times top 10 best seller, who was in store for a book signing and got to ask her lots of interesting questions. Thank you to all the staff at Bookmark who made us feel so welcome! Due to adverse weather and road conditions, both the Garth and Priory Schools will remain closed on Friday, 2 March. Both our schools will be closed today due to snow and dangerous driving conditions. 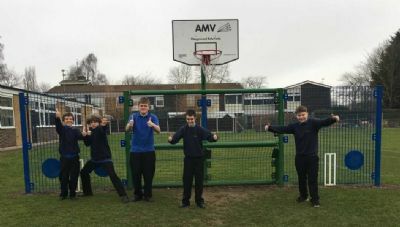 A year ago we successfully applied to the National Lottery for funding towards a specific, contained team ball play area (MUGA) allowing pupils to play football, netball and basketball safely together. The total cost of the project is £31,000. As you can see, we need all the help we can get with this project. We have a vacancy for a teacher at the Garth School required from Term 5 2018. Applications also invited from those not able to start until September 2018. Further details are given on our Vacancies page. Claire Redford the Administrator for the Garth Special School completed Paediatric First Aid Training last year and the lifesaving value of having a defibrillator in school was stressed. After a discussion in school, Claire approached Sally Slade one of our Local District Counsellors requesting help with raising funds to purchase a defibrillator. Sally approached her fellow Local District Counsellors who were only too willing to support the school with the purchase. The Garth School would like to send special thanks to Sally Slade and her fellow Local District Counsellors for donating funds to such a good cause. We have a vacancy for an Assistant Site Manager to work across the Garth, Priory and John Fielding Schools. The closing date for applications is at noon on Monday, 29 January 2018. If you would like to look around the schools, please email the Site Manager Chris.Jones@johnfielding-cit.co.uk to arrange a visit. Please go to our vacancies page for further details and an application form. Lincolnshire Parent Carer forum are holding this event on Wednesday 24 January 2018 between 10.30am - 2.30pm at The Stanhope Hall, Boston Road, Horncastle LN9 6NF. No need to book - just pop in! To further inform you of what is planned and how this may affect The Priory School, we will be hosting two consultation events. The first of these will be held at The Priory School on Tuesday 6th February, starting at 5p.m. in the school hall. The other will be at the Parent/Carer Coffee morning on Friday 2nd February at 10 a.m. also at the school. These sessions will cover the reasons for change, the proposals and a capture of your views. To further inform you of what is planned and how this may affect The Garth School, we will be hosting two consultation events. The first of these will be at The Priory School on Tuesday 6th February, starting at 5 p.m. in the school hall. The other will be at a Parent/Carer Coffee morning on Wednesday 7th February at 10 a.m. at The Garth. These sessions will cover the reasons for change, the proposals and a capture of your views. The next Parent/Carer meeting will take place on Friday, 2 February. Our guest this month is a representative of 'Carers First'. Mr Bland will be with us later in the morning to answer any queries about the proposed changes to special educational needs provision in the county. Please click on the link below to connect to the interactive guide from Lincolnshire County Council about the proposed changes to provision for children and young people with special educational needs. We have a number of new staff colleagues who have recently started working with us and we wish them a warm welcome. Some existing staff have taken on new roles. At the Garth School, Claire Moore has taken on the role of Acting Head of School with Sarah Ellis as Acting Assistant Head Teacher, Tara Radeloff is teaching in Pears class and Charlotte Evans and Hannah Turner are Teaching Assistants. At the Priory School, Gemma Jones has joined us as Administrative Apprentice and Vicky East and Lyn Ansell are Catering Assistants. Sedge Homes have recently adopted the Garth School as their charity for the year. 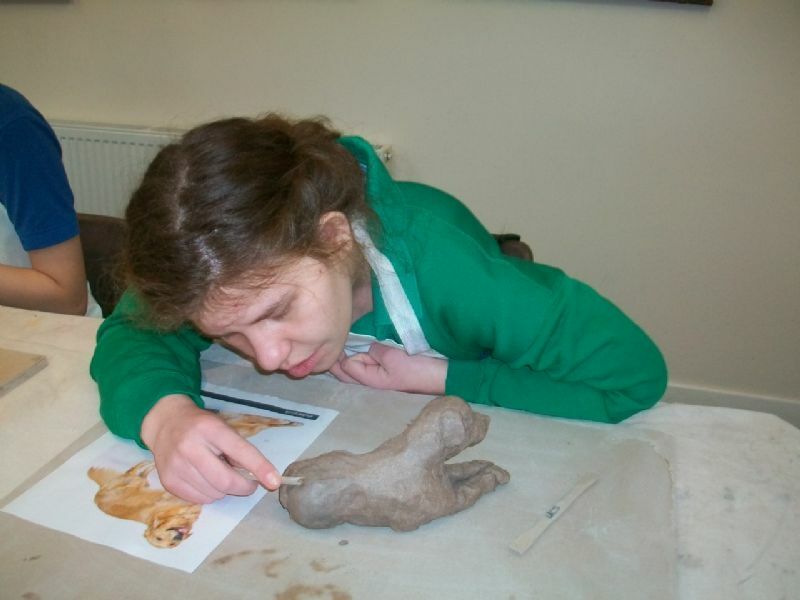 They have used designs by students for their Christmas cards choosing artwork by Zuzanna, who used her foot to paint. They presented Zuzanna with a singing reindeer because she loves reindeer and anything that sings and dances. Mr Bland is sending out information to all parents in case of severe weather. Please click here to see the full letter. 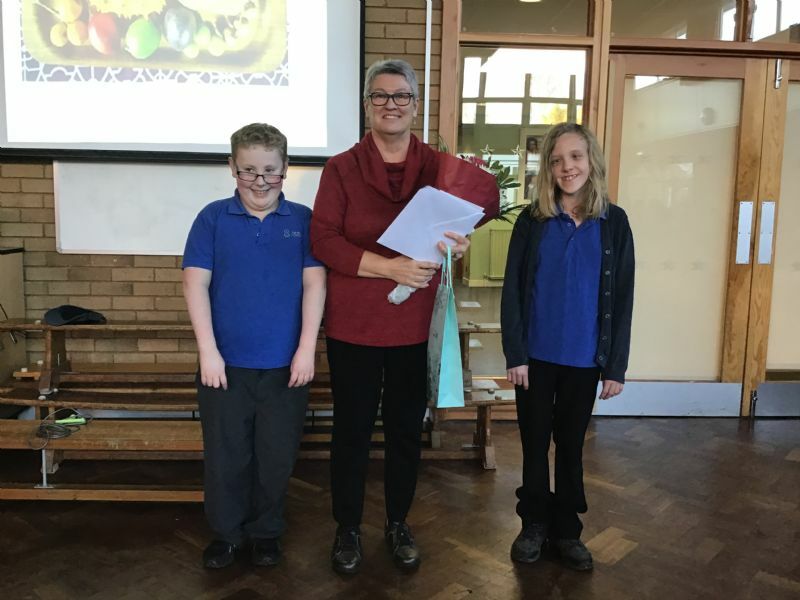 We would like to congratulate Lily Walmsley from the Priory School and Toby Smith and James Calvey from the Garth School for winning the John Hayes Christmas Card competition. Information about events past and those taking place in school up to the end of term - Santa Fun Run, Christmas Jumper Day and much more! We have a vacancy for a permanent Catering Assistant at the Priory School - closing date Wednesday 22 November (midday). Please click on the link for further information. For some years we have been collecting used postage stamps to support RSPB at Frampton Moor. We are continuing to collect used stamps and would be delighted to receive any that you have spare. Please give stamps to Mrs Derrick or the School Office. 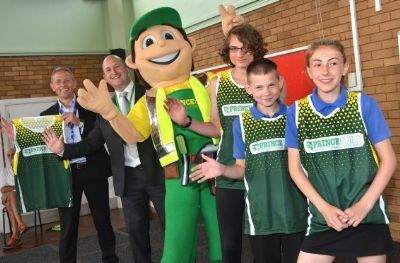 Princebuild’s company mascot ‘Peeby’ made a surprise guest appearance at the end of term assembly to present 20 new running vests for the running team and other sporting activities. Thanks to the Edina Trust, we have been able to purchase a much longed for Polytunnel for The Garth School! Due to student need and our students often being visual and sensory learners, we feel very passionately about bringing the science curriculum to life for them. In order to achieve this, we wanted to offer the children on site gardening facilities. The students need to physically see the earth in their hands and the seeds and plants, to understand. Now, with £500 from The Edina Trust, we have been able to show the students plants growing inside their own polytunnel and this is helping them gain an understanding of gardening and the science behind it. This project is to support Biology and specifically lifecycles of plants. The students are practical learners and need to be involved in all aspects of seed selection, planting, care, and harvesting to gain an understanding of the plant lifecycle. 26/06/2017 Priory School awarded top-ranked food hygiene rating! The Priory School kitchen has been awarded a 5 star food hygiene rating in the latest inspections by South Holland District Council environmental health officers. 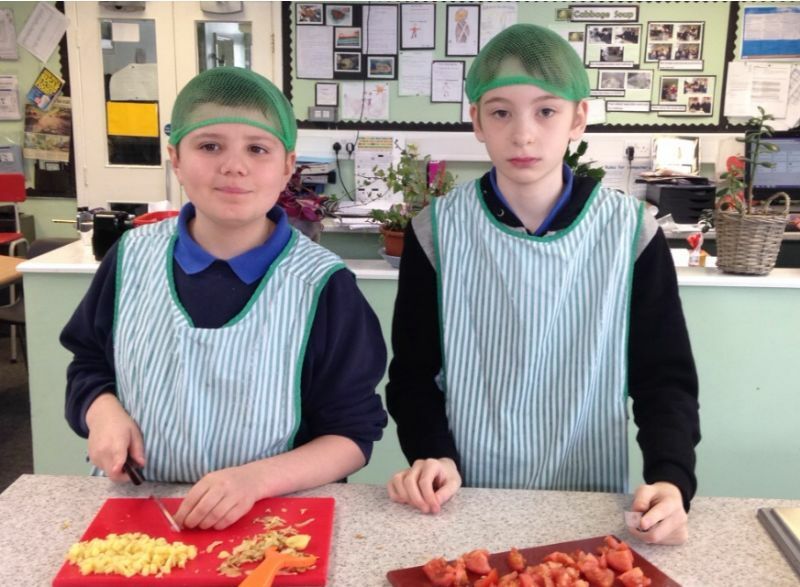 The Priory School kitchen is a hive of activity Monday through to Friday every week during term time, preparing over 200 meals across both The Priory School and The Garth School. Pupils and staff have two daily choices, either a hot meal or salad with bread roll or potatoes (from our fresh salad bar). For dessert there's a sweet option or fresh fruit or yogurt. 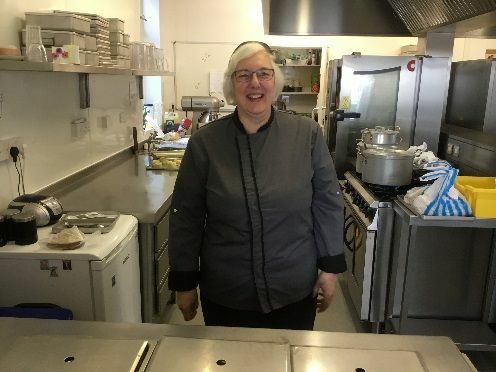 The kitchen is headed by Mavis Needham, with a team of 4 (Sharon Inglis, Marion Perkins, Rachel Buck, and Lisa Eady) supporting her, they run a tight ship. 19/06/2017 Priory School awarded £9,625 for playground upgrade! We are pleased to announce that we have been awarded a £9,625 grant from The National Lottery Awards for All Scheme. This great news means that changes can now be made to the children’s playground to improve playtime. On Tuesday 9th May 2017, 2 guide dogs and their owners came in, we asked them about everyday life and how they do stuff such as brush their teeth. The owners names were Sheila and Dennis and their dog’s names were Nanna and Ozzy respectively. At the end we stroked and patted the dogs. On 2nd May 2017, 7T visited Tesco in Bourne to take part in the ‘farm to fork’ project. We visited the bakery to see how all the different freshly baked products are made and how long they take to bake, then we visited the fish counter and found out where all the fresh fish are from. Afterwards, we went to the cheese counter where we had to guess where all the different cheeses are from and then the freezer where it was... freezing!! We got to try lots of different cheeses and as a present we got 3 fresh baguettes to bring back with us! Priory daffodils and students' artwork have scooped awards at Springfields Event Centre. In the age range 13-14 photography class we won a First Prize; our daffodils gained Second and Third Prizes. Congratulations to Spalding Academy for their First Prize daffs! The data for KS4 has been delayed and will be sent home after the Easter holiday. 7T had a fantastic visit to the Bradford Science and Media Museum as part of their topic ‘Media Magic’. The day started off with an exploration of ‘Life Online’ where we got to see the World’s first computers and mobile phones and how they were developed over time. This was followed by a 3D film ‘Tiny Giants’ in the impressive iMax theatre. After lunch we explored the Wonderlab, the Animation Gallery and the Kodak History of Photography Gallery. The real highlight for both students and staff was the retro Games Lounge, where we got to play our way through gaming history from Atari to Pac-Man and Super Mario Kart! We have received a grant from the National Lottery which we are using to provide all weather rubber mulch safety surfacing making the trim trail and wheelchair-friendly roundabout accessible all year round. The funding is also enabling the school to purchase interactive play panels for the children to enjoy at break times. We are delighted the Big Lottery grant has opened this resource up for the whole year. 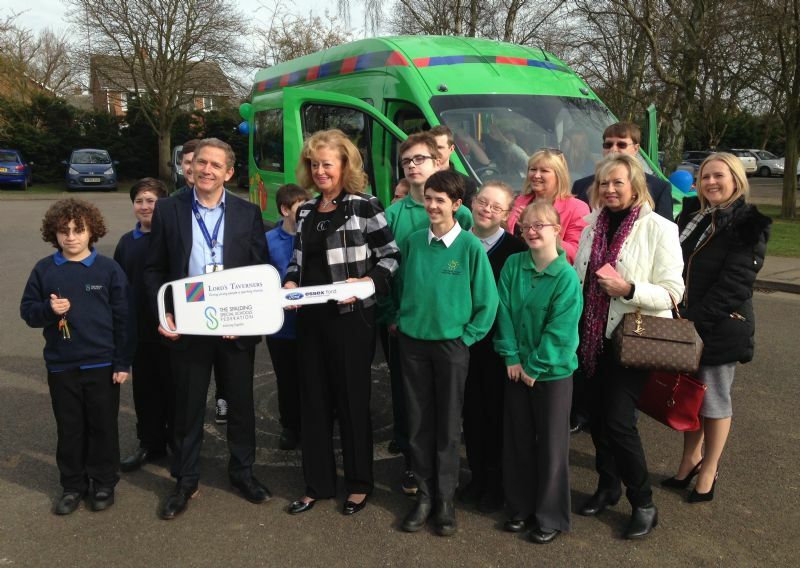 The Garth and Priory schools are delighted with the new minibus from the charity Lord's Taverners and Lady Taverners. We are delighted to inform you that we have been awarded a £10,000 grant from The St James’s Place Foundation. This great news has meant that upgrading works could begin in our woodland area. The woodland area is positioned to the rear of school and has been looked after and nurtured for many years by staff and pupils. 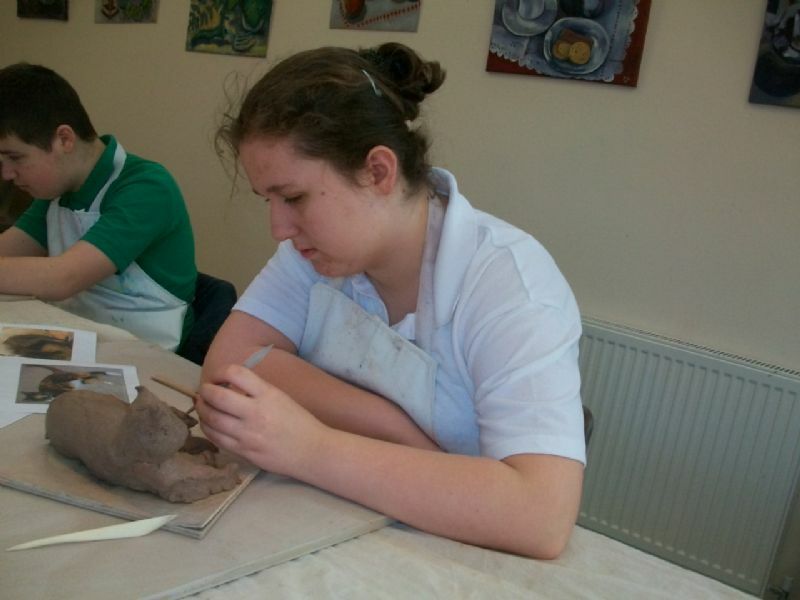 Students from Strawberries Class are working towards an AQA Certificate in Art. 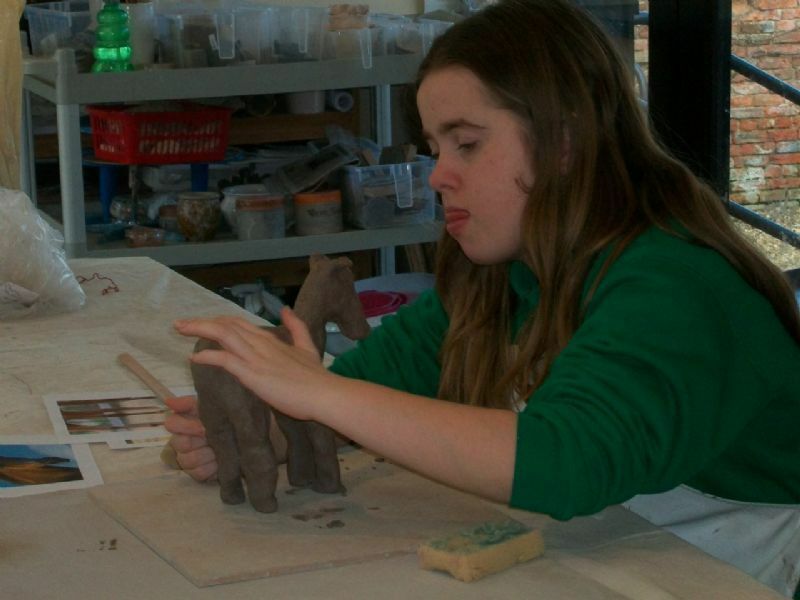 Alex, Niamh, Lauren and Shelby have been creating pottery animals. 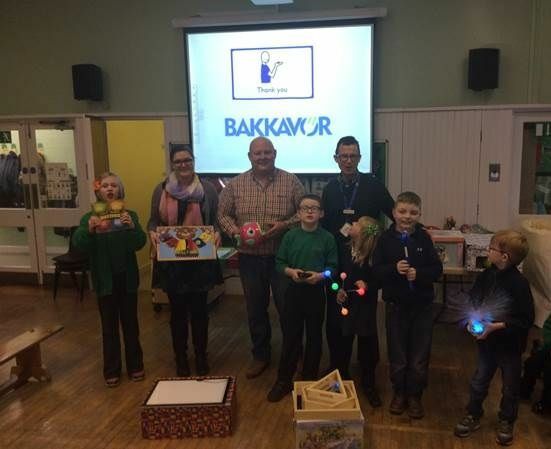 Garth School students were delighted to welcome Phil and Amber from Bakkovar to our Assembly to say thanks for money they had raised to provide us with lots of fabulous sensory materials for use in class. John Hayes explained about how he started the Christmas card competition many years ago. The competition is run between the Priory, Garth and Gosberton House schools. 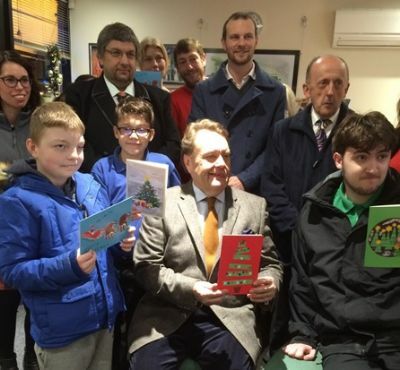 He said he preferred cards with character that the children put effort into and that the Prime Minister will receive one of the winning Christmas cards. Thanks to our visitors for their support during the year and to Mrs Needham and her Catering Team for a fabulous Christmas lunch. 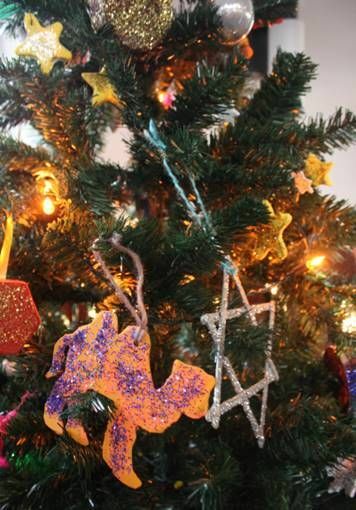 Apples and Mangos classes fabulously decorated a Christmas Tree for the Festival at Broad Street Methodist Church. Thank you to everyone! 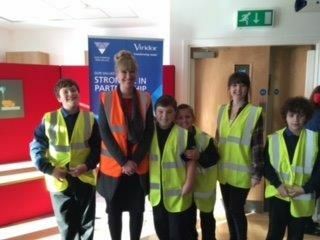 Strawberries Class went to a waste recycling centre near Lincoln this term to learn about how they burn rubbish safely to create ash which is then used to make kerbs for paths. See the Gallery for some of the items we learned can be recycled. Strawberries Class practised recycling in school, making bags from old newspapers. Congratulations to Cadan Lowe and Brett Reed who have been announced as winners of MP John Hayes annual design competition for 2016. Both pupils have been invited to attend the presentation event at Springfields Centre. On Monday 28th November 7T went to Viridor in Peterborough. Viridor is a Waste Recovery Centre. My favourite part was seeing the control room and what happens to waste. They sort the waste into different zones, each containing different waste like Recyclable stuff, Food, Garden Stuff and Electrical Items. It was good because we threw beanbags into the right bin, visited the control room and viewed the CCTV. 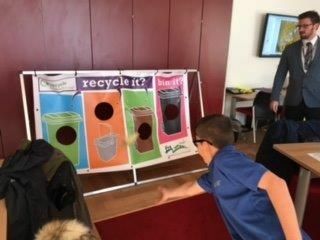 We had been learning about what is the right waste to put in a different bin and we learned what happens to waste. The engineers control room was great because it had a huge controlled a claw picking up waste and putting it inside a shredder and it also showed the heat of the waste. Special thanks to everyone at Viridor! We are raising funds for a new minibus. More details can be found here - or as part of the Parents Information/general information page on the website. Earlier this year the Priory School entered the East Midlands in Bloom School Gardens Competition. We were invited to the awards presentation in September held at Rutland Golf Club, where we were pleased to learn that we had won the “Best School Fruit and Vegetable Garden” award. We were also presented with a “silver gilt” award for the gardens overall. 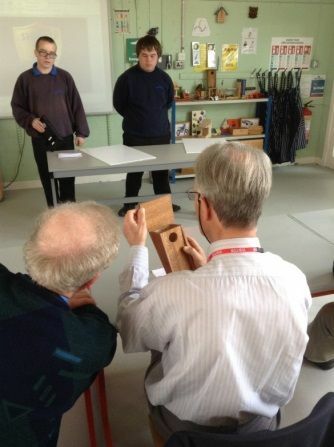 The judge said that he enjoyed being shown round by very knowledgeable and motivated Year 11 students. He was pleased to see that the gardens are well used by most of the school and the hard work that went into it throughout the year by the students. For several years Priory School has been supporting 'Mary's Meals' which provides food and equipment for young people in countries where they are not lucky enough to have enough food to eat or opportunities for education. If young people go to school they are given a bowl of porridge. For one week we will provide porridge for every pupil for a donation of 20p. All money raised will go to the charity. Thank you to everyone who donated cakes and money. Also a big thank you to Stephanie Coulston who joined us from Macmillan Head Office. After the lovely summer weather, welcome back to pupils in Years 8,9,10 and 11 and Welcome To The Priory School to pupils in Year 7 and new arrivals in other year groups. There will be lots of new and exciting experiences throughout the year for everyone. Year 7 will be starting horse riding, Year 8 will start swimming sessions, Year 9 will be going out on trips to enhance their learning and also working in the school Nature Area, Year 10 will start going to the Sports Centre for PE lessons and Year 11 have work experience and Boston College to look forward to throughout the year. We hope everyone enjoys their new experiences. As staff we are delighted, and very proud, that last year's Year 11 left with an excellent set of results. Some Year 11 pupils performed exceedingly well in GCSE exams, but every single Year 11 pupil managed to achieve results in nationally recognised assessments. Well done to them all and we wish them good luck as they move forward to the next stage of their lives. It goes without saying that, the teachers worked hard to help Year 11 pupils perform well but such good results only come about when pupils attend school regularly. Our attendance record at The Priory School is excellent, last year clocking up 94.6%. If pupils do not come to school, they miss out on vital learning and experiences. We would ask that appointments are kept to a minimum as much as possible, although we do appreciate that there are several pupils who need regular medical consultations that cannot be done out of school hours. Pupils who attend 100% are rewarded for their attendance by school, and they reward themselves by having good learning opportunities. If you need to take your child out of school for a medical appointment, please send in a copy of the appointment in advance of the date. If your child is ill, we would be grateful to receive a phone call before 9:00. If you need to take your child out of school for any other reason, you will need to complete a holiday form in advance, obtained from the school office or via the school website. As always, we will be working very hard to ensure that your child achieves to their absolute potential. Working in close partnership with parents and carers is important to us in helping to ensure success. Should you wish to discuss any aspect of your child's education and well-being, please do not hesitate to get in touch. In the first instance it is usually best to speak to your child's class tutor as most things can either be answered or sorted out fairly quickly by them. Barrie Taylor is the Head of Site and is available to discuss any further worries or concerns you may have. Amanda Barber is the school's Learning Mentor and is available to provide support on a variety of issues that may be affecting your child. Home to School Transport is provided by Lincolnshire County Council, therefore any changes or queries should be directed to them. Whilst we can support where appropriate, Transport must be informed of any alterations. The contact number for transport is 01522 782020. Please also ensure you make a note of your child's particular transport operator as there are times they may be running late due to traffic problems, you would need to contact the operator directly on these occasions rather than the school office. Year 10 went to Hunstanton for fish and chips, the Aquarium at Skegness, wall climbing and tobogganning at Tallington Lakes. The pupils were very well behaved and all had a fantastic time, the weather was great too! YC Activity Days began with a visit to Hammerton Zoo which included sightings of tigers, camels, meerkats and much more. The next day an exciting game of Jurassic Miniature Golf at Springfields was enjoyed by all. 7F began with a visit to Fineshade Woods followed by a pizza buffet at Pizza Hut. On their second day they went for a game of Laserstorm followed by an afternoon swimming at Bourne Outdoor Pool. Mrs Miller, our English Coordinator and Senior Teacher will be leaving the school this summer to take up a post in a primary school. Mrs Miller has been at the school for eight years and will be missed. She has provided excellent leadership of English and has also developed the school’s assessment and progress systems. Mrs Miller has ensured that those pupils who require support to “catch up” are identified early and given the help they need to make good progress. We all wish Mrs Miller the very best in her new role and thank her for her time with us. Miss Taylor will be leading English from this September. Miss Hebblewhite will be staying with us in September as a teacher with a teaching focus of Science. Miss Greene’s role will be changing from Teaching Assistant to Trainee Teacher. 7F and 7C went pond dipping at Ferry Meadows. We all had to catch different insects and then we had to tip them in a bucket and have a look to see what we had caught. Then we had a sheet of paper and had to cross off what we got. As this was our last ever caravan weekend we would like to thank Mrs Isaacs for all her hard work planning and organising the events. Without her commitment the weekends would not have been so successful and we wouldn’t have been able to raise so much money, keeping the minibuses on the road. As we now move forward we need to start to consider alternative fundraising opportunities and we happily invite suggestions for the future. Get your thinking caps on! 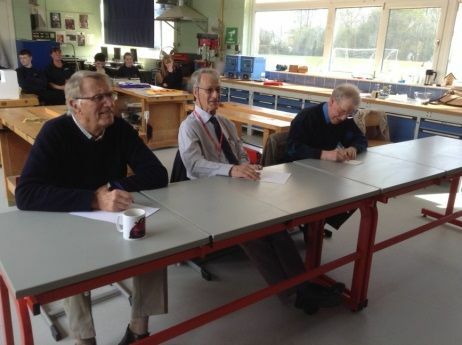 Y10 students, at the Priory School, recently took part in a Dragons’ Den style experience before a panel of judges from the Rotary Club of South Holland. Six Enterprise Teams each showcased a product of their own design with a presentation using multimedia and visual aids. One pupil with speech impairment was applauded by the Dragons for using a voice app to explain his product. The annual event is as much about the presentation as it is about the product with students having to work as a team to foster; communication, organisation and collaborative skills. The most outstanding team was Marvellous Mats, designing and making coasters and pot stands using wooden pegs and fridge magnets using plastic beads. In second place was the Shield with their bird boxes and fridge magnets and in third place, Plastic Fantastic with spiral key rings and bead coasters and fridge magnets. The teams have been supported by Steve Manning, teacher of Design and Technology at the Priory. He has been on hand with advice and support with technical issues. A member of the Rotary Club of South Holland has also worked with the pupils. All teams were presented with certificates and the winning teams received money to develop their products and sell them to staff and students at the school. Profits will be used to subsidise summer activities for the benefit of all Y10 students. Once again our pupils in year 7 and 8 were very fortunate to have been invited by Spalding Rotary Club to Wicksteed Theme Park. The pupils and staff had a fantastic day. The rotary club were kind enough to buy everyone an ice cream. On Monday 27th June the year 8’s taking part in activity week went with staff to The Light cinema in Wisbech to see ‘The Secret Life of Pets’, which everyone found hilarious and could not stop laughing. On Tuesday, year 8’s went to Laser Storm in Spalding to test their accuracy and agility. The overall winner for the day was Ryan McConville, with Reece Sammons coming 2nd and Kieron Curtis coming 3rd. Upon returning to school, everyone sat down and enjoyed the latest Minions film with popcorn. On Wednesday, year 8’s took a ride down the Welland river and along Coronation Channel in a water taxi. Thankfully the weather held out and most pupils managed to show off their ability to steer the boat and use the horn effectively! After departing the boat at Springfields, all enjoyed a piece of cake at Costa Coffee before returning back to school. It has been a fantastic week and all pupils have enjoyed themselves thoroughly. We are looking to appoint a Parent Governor to The Priory and Garth Schools. Please visit our vacancies page under our New's tab for more information. 28 Students travelled to Norwich to take part in the Eastern Region Cross Country Championships along with 17 other schools. The event is held at Tavernham Hall School, a beautiful setting and perfect for cross country. All the students really did us proud with every single one of them behaving superbly and supporting thier team mates. Notable performances were Cole S who won the Under 13 boys and Sarah Alice S who came in 2nd in the Under 15 girls. We also brought home the Senior boys team trophy for the second year. A wonderful day for all involved. Year 9 have been visiting places of Christian worship as part of their RE work. We discovered a range of differences but also some similarities between the different groups of Christians and their places of worship and we are now working to complete work about this as part of our WJEC award for the end of KS4. Year 9 have been working hard in the Nature Area during the last few weeks clearing up from the winter storms and laying wood chippings down on the paths so we can all walk mud- free. Work has also commenced on thinning out some of the invasive plants. Everyone has worked really hard, demonstrated excellent team work and exchanged some knowledge and information about what we see growing there. The bee hive is beginning to be busym the moles have been at work and ladybirds are around. How lovely the Nature Area looks in the spring sunshine and we really enjoy being down there together. All pupils who achieved 100% attendance last term will be invited to celebrate this with Mr Bland. They will have a meal together and a bit of fun. A big well done to all those pupils who managed to acheive this. As we are now an academy, please would you make cheques payable to ‘The Priory School’. We can no longer accept cheques payable to Lincolnshire County Council – thank you. A big thank you to all those pupils who always try their hardest and 'do the right thing at the right time'. This term the randomly selected pupils visited Laser Storm for a couple of games with Mr W. They had a great time. Mr W is looking forward to the next celebration event. PLEASE REMEMBER – Friday 29th April is a Training Day at Priory School so school will be closed on that day. Please do not send your child to school! Monday 2nd May is Bank Holiday Monday so we will look forward to welcoming all pupils back to school on Tuesday 3th May! As you may be aware every year we welcome caravanners to school for the Bank Holiday weekend. This is the school’s biggest fundraising opportunity of the year. Last year the event raised over £5,000, all of which is spent on enriching the lives of our pupils. For example, we use this money to keep our three mini-buses on the road, offset the cost of trips to Europe and our activity weeks, and pay for our good works, attendance and reading awards and much more. To maximise the profit we make from entertaining 120 caravans full of intrepid caravan folk for the weekend we would appreciate donations of tins of baked beans, tins of whole tomatoes, eggs, tomato sauce, brown sauce, marmalade, sliced bread, cartons of fresh orange juice, tea bags and coffee. The more we receive in donations the less we have to buy to feed breakfast to the caravanners. All staff at the school give up their time on this weekend to support the fundraising effort. There will be hundreds of breakfasts served, jacket potatoes and fillings, a three course evening meal, a band, a quiz night and lots of toilets cleaned! We would also really appreciate any raffle prizes you can spare for the caravan raffle over the weekend. Toiletries, chocolate, alcohol, children’s games, small items of jewellery etc. are most welcome. All items can be brought in to school at any time by pupils- food to Mrs Richardson, raffle to Mrs Isaacs. Thank you! 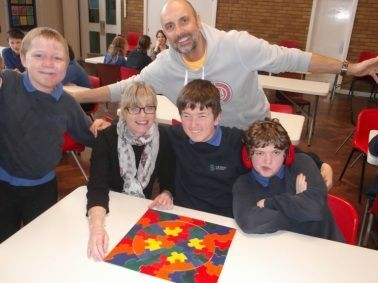 We all had a fantastic time when the Happy Puzzle Company came to visit us earlier on in the month. The pupils enjoyed working together in teams to complete challenging but fun puzzles. Some challenges were easier than others and required different skills and strategies, but all involved patience, persistence and teamwork (especially as we were not allowed to use glue or staples on those extremely uncooperative penguins!). It was really rewarding to see the pupils (and staff!) get so involved in this really successful day and getting so many different things out of it- all in all a fab day! Thank you for your support in improving attendance. However, the attendance rate for the autumn term was 94.5% which is actually down on the same term last year where attendance was 95.7%. It is vital that pupils attend school regularly and only have time out of school when it is absolutely necessary. As you are aware the government no longer permit parents and carers to take holiday during school term time. The class that had the highest attendance rate during term 2 was 9I with a brilliant 97%. The class with the highest attendance rate during term 3 will be shared with pupils on 22-01-16. Can your class win the award for Term 4? They can if you come to school every day! There will be a Karaoke Cake Sale at The Priory School tomorrow break. All cakes are between 10p - 50p. Thank you for supporting The Priory Choir. On Monday 20th March Year 10 went to visit Baytree Garden Centre for a hot drink and to see some of the animals they have there. The pupils organised the trip as part of the Independent Living course, this involved arranging transport, money and medication. The trip was a real success and pupils and staff even got the chance to hold a python and a tarantula! The whole school took part in an afternoon of Science activities designed to enthuse and engage the pupils showing the role of Science and engineering in all areas of life. This years theme was around the different types of Space; open sapce, outer space, digital space, built space and personal space. Lots of exciting activities were on offer and pupils were able to complete 4 sessions during the afternoon, these may have included astronaut skills, investigating colourful space, terrific teeth, sending a message, loading cargo, food science and a team quiz. It was lovely to see the pupils from all year groups supporting and working together in their groups enjoying Science. On Monday 14th March we went to an Indian Restaurant called Indus in Spalding. When we walked through the door it felt like a very realistic Indian Experience with Indian music playing as we were greeted by the owner and staff. When we sat down the table was set nicely, the service was very quick with a 2 course meal. There was a lot of food to eat, for starter we had poppadums with various Indian cuisine dips. For main course we had Chicken Korma, Chicken Tikka Masala, Onion Bhajis, Naan Bread and Rice. It was all very tasty, I wish I could have more! A few people in our class hadn’t had Indian before and they all came out converts! The staff were very friendly and they seemed to know a lot about India as we quizzed them after we had eaten! Thank you very much to Indus Restaurant. Sunita Patel joined Year 8 on Thursday 10th March hosting an interesting, inspiring and colourful workshop called ‘The Indian Experience’. 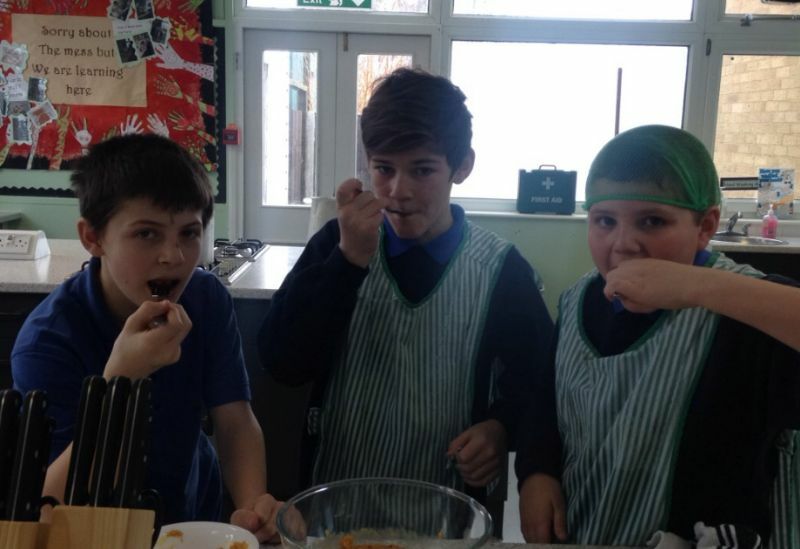 The pupils cooked Indian food such as Lentil Dahl, Railway Tea and an Almond Pudding. They then took part in Bollywood dancing whilst wearing traditional Indian clothing. Later on in the day, Year 8 discussed aspects of Indian culture and challenged stereotypes. The afternoon finished with a wonderful session, creating chalk Rangoli patterns and decorating Diva Lamps for Diwali. It was a fantastic way to draw together the topic of India! On Friday the 11th of March 2016 all year 10 pupils will be attending Boston College in the afternoon. This visit will help prepare your child for their college link placement that begins next academic year. Pupils will visit the college, have lunch within the canteen and then have a tour of the college campus. This is the first of two taster days that pupils will attend; the second will take place during term 4. This experience will prove valuable as pupils will be able to see how the college runs day to day. Pupils will visit college during the normal school day hours, so no changes will need to be made to transport arrangements. However pupils lunch times arrangements will be different. For those pupils that bring a packed lunch to school they may continue to do this and eat this within the college's canteen. For pupils who normally order and pay for a school dinner; you may wish to bring money to pay for items available in the canteen. Pupil's who receive free school meals will have money provided by the school to purchase their lunch. The canteen has a variety of hot and cold meals available and there will be plenty of choice to choose between. I will notify the college prior to our visit should they need to cater to any specific dietary requirements. We are pleased to announce from 1st March 2016, The Priory School and The Garth School have become Academies. This means that both schools are now essentially independent schools that are funded directly from central government. The Priory and The Garth Schools will now join the Multi Academy Trust: The Community Inclusive Trust (C.I.T.). C.I.T. already manage two special schools in Grantham, Ambergate Sports College and Sandon School (both rated “Outstanding”), and also sponsor a mainstream Primary, Isaac Newton School. On behalf of Priory pupils Mrs Derrick wishes to thank parents for all the fantastic support they provide for young people around the world to have educational opportunities. Following on from the success of the classroom boxes for Malawi the pupils have decided this year they would like to continue their support for Mary’s Meals with a Porridge week and work with the Rotary team to equip schools that were destroyed by the devastating earthquake in Nepal. It is this project that we would ask you to consider when pupils have out grown their uniforms, trainers and PE kit or decide to buy a new school bag, by sending them into school please. We have started by contributing exercise books and pens and thank Mrs Luckett for collecting this generous bounty. Key Stage 4 pupils wish to thank South Holland District Scouts for their support on the Bronze level Duke of Edinburgh Award and Wynfleet Trust for their generosity in providing the registration fee for over 22 pupils, equipment and training necessary for this to happen. They are looking forward to a visit to Go Outdoors who also provides DofE participants with discount equipment to buy rucksacks and cookers. 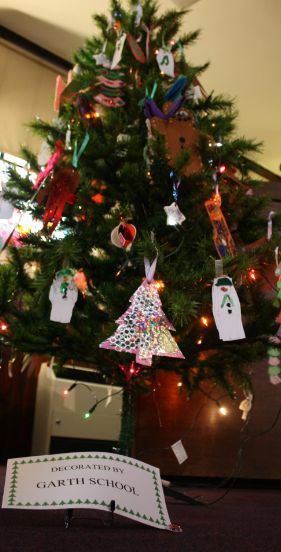 Pupils delightfully decorated a tree as part of the Christmas Tree Festival at Broad Street Methodist Church. On Thursday 17th December we will once again be holding our Santa Run. :ast year all pupils and staff ran, or walked, the cross coutnry course. It would be great if as many as possible could dress as Santa, or even just wear an appropriate hat to add to the atmosphere; a change of footwear would be advisable for taking part in this. Lots of staff will be on hand to lend assistance. Anti Bullying Week at The Priory School was a great success. Mr Flatt and Mr Wycherley led special assemblies, on Thursday afternoon there was an enrichment afternoon where all year groups mixed. Each group created their own hand which represented their place within the school. Each hand had something different written on it and was stuck onto The Priory School Tree. This has been left on display in the school hall. Lots of puils entered the Anti Bullying week poster competition. The two winners of the poster competition wre Michael Hallam and Jonty Abraham. These two will be treated to a lunchtime meal at McDonald's with Mr Wycherley. The school would only close due to severe weather if it was felt that not enough staff were able to get in to safely look after pupils or should on site safety be seriously affected by snow. As a special school we also have a few other factors to consider, primarily the fact that many pupils live a considerable distance from the school and driving conditions can vary greatly across the county during severe weather. Please also be aware that transport providers may decide not to make a run if they feel as though the weather conditions present an unreasonable safety concern, despite the school remaining open. By text message: If you have provided us with a mobile telephone number we will send you a text using the Text Around Service. If you have changed numbers recently please inform the school office. By listening to the radio: We will contact Lincs FM 102.2 and BBC Radio Lincolnshire 94.9 and 104.7 FM. By looking on our school website. By telephoning the school: Press Option 2 for school closure information. The Priory School Christmas Card Post Box will be in operation from Monday 7th December. Pupils, parents and staff can use the post box to send cards to pupils and staff. Please make sure each envelope is clearly labelled with the name and class (if known) of each person you wish to send a card to. At The Priory School we have always encouraged our students to read and tried to encourage a love of books. I have tried to continue this ethos in the school library by getting the students excited about using the facilities. I have prepated competition and helped organise events such as World Book Day and the Readathon. I have also re arranged the library so it is more inviting. I have arranged fiction books into genres and reading ability so students can find the books they enjoy more easily. I have also begun re arranging the non fiction texts to make them more accessible. On Wednesday 16th December we welcome some of the people who have been helping us in school and out of school, to join us in our festivities. The whole school and visitors eat together in the hall and a smashing Christmas lunch is provided for all at no cost to pupils. We do appreciate that this is a challenge for some pupils, who prefer to stick to what they know and like; if this is the case for your child, please ensure you inform school using the slip attached to the recent newsletter. On Monday 14th December a whole school event in the form of a visit to see Peter Pan will be taking place. The cost of this trip is £7.50, if you havent reserved a seat for your child yet, please send the reply slip back as soon as possible. If it has gone missing, please ask for a replacement. In the afternoon of Thursday 17th December there will be a Christmas themed performance, featuring members of Y9 and some of Y7 in the school hall, starting at 1:30 to which everyone is invited. At the end of this we will be drawing the Christmas Raffle - you have to be in to win it so tickets may be purchased from the School Office at £1 a strip. Mrs Richardson would still like to receive lots more prizes that she can put into sumptuous hampers - toiletries, toys, food, puzzles, chocolate and alcohol will all be gratefully received. In November we held our annual Awards and Parents Evening. It was great to see so many of you there. We hope you enjoyed welcoming back last year's leavers and recognising their exam achievements. We also said a big well done to those pupils who received one of the Special Awards given out each year. These awards, listed below, recognise the effort and enthusiasm shown and are not awarded just for being the best. We were also very proud to recognise pupils who achieved 100% attendance last academic year. On Wednesday 18th November all year 10 and 11 pupils attended the annual Lincolnshire Skills show. For a second year the event was hosted at Butlins Skegness. The skills show has continued to grow and grow and this year was the biggest one yet. Pupils at The Priory School had the chance to meet and talk with education providers and business throughout Lincolnshire. Pupils had a great day and many found the activities and stalls very interesting. All pupils came back to school recognising how much they had learnt. On the week beginning Monday 30th November, we will be holding a Christmas Book Week in school. The main reason for this is to introduce the season and festivities of Christmas in a thematic and exciting way, whilst prompting the love and passion of books; text, illustrations, communication and reading. The pupils will be working in their usual class groups and Literacy and Numeracy Groups. The entire week of lessons will be centred on Christmas texts, both fiction and non-fiction. We hope the pupils will enjoy the week! 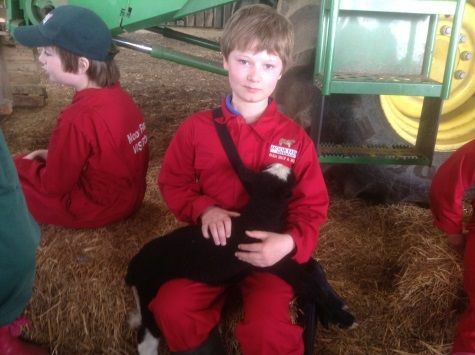 Last Friday Year 8 students took part in a school trip to Gressenhall Farm and Workhouse in Norfolk. Students and staff had a fantastic time at the Workhouse, sampling traditional Workhouse food and participating in a Victorian school lesson. 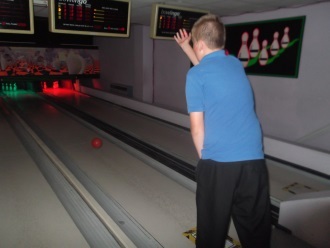 Last Monday students in the Independent Living Option organised a trip to Laser Storm in Spalding. Pupils used the Internet and made phone calls to find out key information about the venue, then they used the information to plan the trip. Pupils and staff had a fantastic time and were lucky enough to to be given a free game from Laser Storm! Unfortunately for the pupils, the staff won both matches! The Priory held a spooktacular Halloween disco on the last day of term which had everyone screaming with delight. Staff and pupils alike dressed in a cavalcade of costumes that ranged from the scary to the silly. There were plenty of fun games around the hall to play such as apple bobbing, colouring competitions and much more! There was also a competition to write a Halloween themed story which was won by Joe White. Mr Allen provided an awesome disco complete with lights and music. It was great to see things that normally go bump in the night bopping on the dance floor! There was also a costume competition which was difficult to judge because of the great costumes, but in the end Charlie Mansfield was the top scarer! Mr Holmes was disqualified because his werewolf costume just turned out to be his really big beard. Please come and join us for the Annual Awards Evening when we celebrate our pupils' success. Teaching staff will be available to discuss pupil progress following the giving of Awards. Buffet refreshments will be provided by Mrs Needham and her team. 17/11/2015 PRIORY Annual Reviews and EHC Transfers - Year 11! Annual Reviews are a very important time in The Priory School Calender. Year 11 Reviews are scheduled for 30th November, 1st, 2nd, 3rd and 4th December to which parents and carers should have received an invite to. This years meetings will be the start of the process of transferring to EHC Plans. Two weeks prior to your Child's review you will receive your child's report and parent and pupil response forms. It is always helpful when these have been completed. Annual Reviews for pupils from Year 9 onwards are combined with the Child's transition plan review. This part of the review focuses on the plans that need to be made to ensure every pupil is supported to make good decisions about what to do when they leave school. To prepare for Anti- Bullying week all pupils are invited to enter a special competition to design a poster promoting the theme of stopping bullying altogether! Completed designs need to be handed to the Head Teacher by Friday 21st November. Three entries will be selected to be printed and displayed around school. All pupils who submit an entry will receive a small prize and the three winners will be taken to MacDonald's by Mr Wycherley. As the weather is starting to get colder please can you make sure that your child bring suitbale outdoor clothing with them to school. We try our best to get pupils outside for fresh air during break time even if its wet. The Priory School are pleased to announce that we have won The Lincolnshire Free Press/Spalding Guardian Environmental Award!! Judges were blown away with the range of opportunities the school has developed for pupils to engage in environmental study and contribute to environmental issues. Mr Bland would like to thank everyone who has contributed over the years to the school’s environmental provision and curriculum. It is something that has grown and grown and has enabled 100’s of pupils to both learn and contribute. The Garth School are pleased to announce that we have won The Lincolnshire Free Press/Spalding Guardian School of the Year (Primary) Award!! Pupils who are in the choir were invited to perform at a 'Spotlight Variety Night' to help raise money for a special school in Uganda. They did us proud, confidently performing 'Rather Be' and 'Roar'. It was amazing to see! Amanda Barber, the school's Family Support Co-ordinator and Learning Mentor, held the first of monthly Parent/Carer group meetings on Friday 2nd October. The sessions are informal with coffee and cakes. Amanda often invites other professionals or agencies who can provide useful information on services and support. Perhaps more importantly the sessions provide a chance for parents and carers to get together and share experiences. These sessions will take place on the first Friday of every month, term time only. The next meeting will be on the 6-11-15 and there will be a guest speaker. 02/10/2015 PRIORY Roald Dahl Day! On Friday 25th September students and staff at the priory school took part in the Dahlicious Dress Up Day. This was to raise money for Roald Dahl's Marvellous Children's Charity. Many students took part dressing up as their favourite Roald Dahl characters or in yellow (Roald Dahls favourite colour). Students took part in Roald Dahl activities throughout the day and a prize was awarded to the best dressed students. As part of the Independent Living programme, Year 10 students visited Sainsbury’s Café on Monday 28th September. The trip provided pupils with an opportunity to use and enhance their communication skills within a new environment, a perfect start to a Monday morning for students and staff alike! 7C Activity Days began with a visit to Hammerton Zoo which included sightings of tigers, camels, meerkats and much more. Next day, a pond dipping expedition to Ferry Meadows hunting for mini beasts living in the pond, a game of creature bingo and amazing facts shared by the parks education team was enjoyed by all. 7F visisted Hunstanton Sea Life Centre and enjoyed an afternoon swimming at Boune Pool after a walk through the woods. 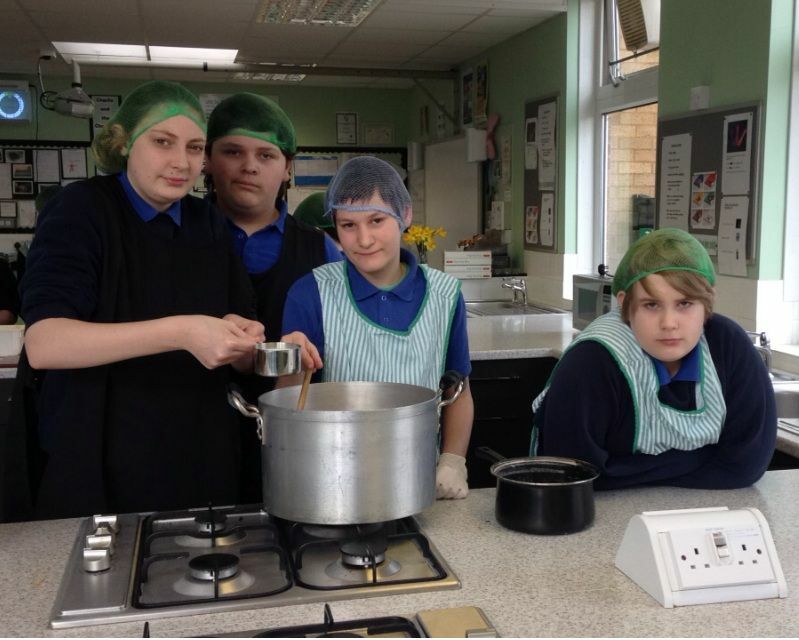 All Year 7 Pupils had the opportunity to experience a sleepover at school and visit the chip shop for tea. On Monday Year 8 played Laser Storm. We were split into two teams and competed against each other to get the highest score - we won one game each. We also played bowling. On Tuesday we went to Twinlakes and all enjoyed various rides and looking at the animals. We enjoyed a picnic lunch which involved various ducks and birds trying to take our food. Year 10 went to Hunstatnon for Fish & Chips, The Seal Sanctury at Skegness and wall climbing and toboganning at Tallingoton Lakes. We also enjoyed a game of bowling followed by a BBQ. The pupils were very well behaved and all had a fantastic time, the weather was great too! The Priory School were joint winners with Pode Hole WI in the Spalding in Bloom Canvas Competition. Thank you to everyone who gave their time, energy and talent to making our entry an amazing work of art! If you get an opportunity please take a look at the fb page of Tulip Radio, where they have more information about the Pride of South Holland Awards held on Saturday. There should be opportunity throughout the coming year to see the canvasses on display in and around Spalding. We offer school meals at a very competitive price. Unfortunately the gap between what it costs us to provide the meals and the income we receive has grown to a point where we have no alternative but to increase the daily charge. With effect from the 3rd September 2015 the cost of a meal will rise to £2.50 which is an increase of 20p, (£12.50) per week. I hope you will agree that this still represents very good value for money. Please be aware that the pupils travelling on the Y8 trip to France have arrived safely. Should we receive any more updates we will keep you informed. Last night year 10 and 11 pupils from The Garth School and Priory School enjoyed a Hawaiian themed party to celebrate their school prom. Photos from the evening will be available next week to be viewed in the 'Gallery' of our website. Please ensure that your child does not come in to school with unnecessary personal property. Pupils may bring iPods and computer games to use on transport but these must be handed into the school office at the start of the school day and collected at the end of the day before boarding transport. Mr Foreman, who has worked at the Priory for two years, has recently started to deliver many of our interventions groups. These interventions are mainly for Literacy and Numeracy. During this term he has been working with a group of year 9 students three times a week, focusing on numeracy. During these sessions the pupils have had the chance to revisit aspects they have found difficult during lessons in different ways. Progress for this group will be closely monitored. Mr Foreman also works with a group to support their reading development, this focuses on areas that have been identified through our pupil progress tracking. It includes things like inference and deduction skills. Should your child be identified as needing extra subject intervention you will be contacted by Mrs Carter our Intervention Coordinator. Year 10 and 11 Sports Leaders organised a Multi - Skills festival for 30 year 3 children at St Johns Primary School in Spalding. It was extremely successful and they have been invited back to deliver more afternoons of sport. In the modern day world, it is often difficult to motivate children to get a good education and to enjoy a challenge, however, at The Priory School we have always thrived on pushing our pupils to do their best. Since September 2014, as a school we moved in a different direction with our positive reward scheme. What we mean by this is that we improved the way in which we motivate and challenge our children to want to do well in school through outstanding work and behaviour. To do this, we offer ‘well done points’ throughout the school day. This is exactly the same concept as the ‘well done slip’ we used to have however it is now recorded electronically on a database. These points are given out by members of staff to the children they feel have behaved well and have given a little extra effort on that occasion. Once the pupils have reached 20 points, they receive a certificate in assembly and have earned themselves £1 in credit. The pupils can choose to spend their credit on something from our prize cabinet or they can choose to save their credit to save up for something bigger. The cabinet consists of little prizes like Rubix Cubes, Bendy Toys, and Pencil Cases etc... The school also has an amazon account set up that has been used regularly for children wanting prizes from the internet. Pupils, who earn over 20 points in one term, have their picture put up on our ‘Well Done Points Star’ in the hall for everyone to see. This scheme has introduced an element of competition too as there are league tables put up in the hall for the highest scoring year group. 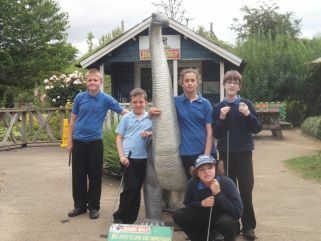 We also offer local trips out on occasion for pupils we feel have excelled/improved with their behaviour and attitude. 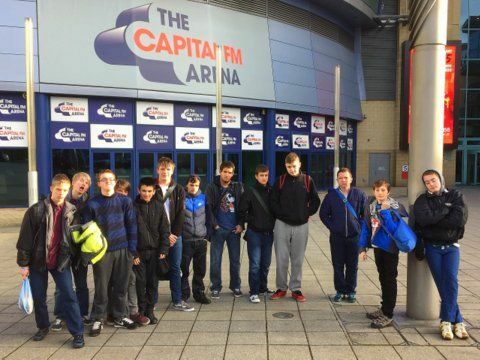 Very recently a group of pupils were taken to Laser Storm in Spalding and had an amazing time. Not only does this new direction of reward entice our children to succeed, it also gives them the power and responsibility to work towards what they want. We feel this is a more grown up approach and a great tool to take forward into adolescence. The Spalding Special School Federation Facebook Group is in full swing and at present we have 41 parents or carers checking for up to date information about the school and celebrating pupil’s successes. Below I have attached some of the highlights. If you have not yet returned your letter it is not too late to join the page. Remember there are two letters: the first is consent to say your child is allowed to be featured on the page, the second is an acceptable agreement and once signed you can gain access to the group yourself. If you need new letters please contact the school office. If you have returned your letter and not requested access to the group please search The Spalding Special School Federation in the top bar. Remember the Facebook page is closed and only parents and carers on the group can see the information. Friday 1st May is a Training Day at The Priory School so school will be closed on that day. Please do not send your child to school! Monday 4th is a Bank Holiday Monday so we look forward to welcoming all pupils back to school on Tuesday 5th May! On the 30th April, Year 7 and 8 pupils were very fortunate to be invited by the Spalding Lions to visit Tuby's Fair. The students all had a wonderful time, going on many exhilarating rides and eating lots of Candyfloss. It was fantastic to see our Sports leaders working alongside staff to ensure all pupils were safe and had fun. At The Priory School we encourage lots of reading and would like to say a big thank you to those pupils, supported by home, who took part in the Readathon at the end of last term. Together they managed to raise £85.50 which will go towards supporting the work of four children's charities - Readwell, CLIC Sargent, Roald Dahl's Marvellous Children's Charity and Together for Short Lives. Pupils in Year 10 and 11 in the Level 1/2/GCSE Maths and English groups, enjoyed a great day taking part in revision workshops led by the Postively Mad Company. They were joined by pupils from the Marshfields School in Peterborough for the morning. Pupils were a credit o themselves and the school. Without exception were enthusiastic about their learning, were engaged in the activities and worked very hard throughout the day. It was a thoroughly enjoyable and worthwhile day. 15/04/2015 GARTH Strawberries Class Trip to Horse Riding! Pupils of Strawberries class enjoyed a trip Horse Riding!! Strawberries class will attend Horse Riding every week this term. 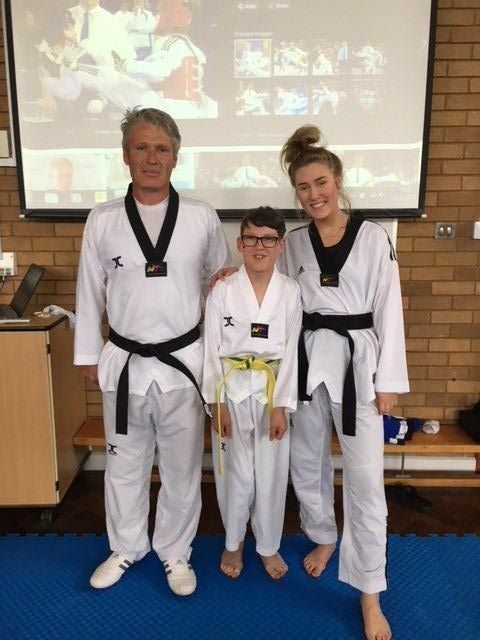 The SSSF has recently launched a Facebook Page, with our aim to create a new home school contact platform and an area where we can celebrate and share our pupil's successes. The Facebook page will be a private group and is for only parents and carers of pupils at SSSF and therefore only people who submit a request can see the content posted on the page. Any parent/carer wishing to become a member of the group will also have to agree to the acceptable use agreement. Any parent/carer who has completed this agreement can follow the link provided below to access the page. Year 8 welcomed Sunita to school and participated in an exciting day of discovery about Hinduism and India. Altjhough pupils ended up very messy (apologies for any problems with dirty t-shirts) they all had an amazing day. Congratulations to Y8 for excellent behaviour, attitude and willingness to have a go. British Science Week was celebrated in school with a visit from Mad Science Workshops. Pupils throughout the school took part in practical activities learning about Forces from helicopters, balancing pizza and parrots, also bouncing energy springs. As part of South Holland in Bloom, Tulip Radio are inviting groups to create an artwork of knitted tulips. We would like to fill our allotted canvas with tulips and would be grateful for the help of all knitters associated with school. If you would like a pattern please ring the school office. The deadline for tulips is the end of May but we would, of course, be delighted to receive your beautiful creations as soon as they're ready. There will be no Parent/Carer support group meetings in April or May (Due to the Easter Holiday and a Staff Training Day). The next support group will meet on Friday 5th June at The Priory School 10am – 12noon. Our guest speaker for this meeting will be a member of staff from Carers Connect, who are known to quite a few of our group members, and have offered lots of support, both in the past and more recently. The Governing Body of the Spalding Special Schools Federation have agreed that we will provide John Fielding Special School, in Boston, with leadership and management support throughout the summer term. Both John Fielding School and the Local Authority contacted the federation when it became clear that the school would not have a head teacher for the summer term. A combination of senior staff will be providing acting headship during this time. This is an exciting opportunity and clearly demonstrates the strength of the federation at this time and its capacity to provide support to other similar schools. Year 10 were challenged by our RAF visitor to design a vehicle which could navigate a zip wire and deliver two packages. Working within a given set of criteria, pupils worked in teams to provide solutions to the challenge and create their plane. Lots of hard work and fun ensued, packages were delivered safely and the RAF are looking forward to coming again! All pupils took part inThe Big Fat Literacy Quiz. Teams of pupils answered questions about books and worked collaboratively on a piece of short story writing. All of the pupils worked hard, enjoyed the activities and displayed great team working skills. There was a great atmosphere in the room! We held a special assembly where all pupils and staff members joined in a 10 minute quiet reading activity as part of the read-a-thon fundraising. During the assembly we also got to look at pupil’s costumes and decide who was the best dressed. Well done to Reece Taylor (dressed as an Oompa Loompa) and Niamh Ledger (dressed from How to Train a Dragon). Miss Sinclair was crowned best dressed teacher for her costume of Maleficent. 03/03/2015 SSSF Website Goes Live! The new website for the Spalding Special Schools Federation has now gone live. The web address remains the same: www.spaldingspecialschools.co.uk. I hope you find it easy to use and full of useful information. The site is designed so that parents and pupils of either school can find out more about what is going on in either the Priory or Garth Schools. The website will be used to provide links to a variety of other important areas, such as school uniform puchase, diary dates, e-safety information, curriculum information and news about pupil activities. Over the course of the next few weeks we will be loading more content for both school. If for any reason you can't find what you are looking for on the new site, please feel free to contact the office in either school. All pupils participated in the Pro Kick Charity Football Challenge. Pupils have been busy raising sponsorship for children in Malawi and for the school. It was a great day with support and participation from all. Pupils worked with ex professional footballer Tony Battersby and were taught how to kick a ball as hard as possible. The speed of each shot was electronically recorded. The pupils with the hardest shots were: Yr 7 - Reece Sammon / Elysia Lowe; Yr 8 - Harvey Ward/Harvey Hamilton / Sarah Alice Smith; Yr 9 - Hikmet Maez / Stevie Fletcher; Yr 10 Ryan Cox / Alice Amess; Yr 11 - Callum Bulman / Olivia Tebbs. F.O.G.S have been hard at work raising money for the benefit of pupils at The Garth. A sponsored head shave took place in which Jo Doughty and Aaron Bloodworth underwent the sheep shearing style challenge! Both F.O.G.S and the school are looking to raise money over the next few months towards the development and extension of outside learning spaces for pupils in the lower school. Year 10 and 11 Sports Leaders visited the National Ice Arena to watch International Speed Skating. Thirteen countries were represented including New Zealand Sweden and Spain. Great Britain won the overall event. A great day was had by all. Students were wonderfully behaved and saw some exciting speed skating action up close. Several pupils from Ambergate Special School in Grantham came to the Priory to compete in an inter school Cross country event. Lots of Priory School pupils took part, running either one or two miles depending upon their age. A close run event saw an Ambergate runner winning both races, but Priory School won the overall competition. Well done to all participants. Unicef Day for Change is a chance for our school to learn about what life is like for children around the world. We hope it inspires our students to take action. Over 1,800 schools took part last year. In 2015, Day for Change focusses on the lives of children in Guyana. Mrs Isaacs has already sent home a letter outlining what pupils can do to support this cause and find out more about the lives of children in Guyana. Friday 6th February will be a non-school uniform day in return for a minimum donation on £1. Pupils and staff all enjoyed our Annual Carol Service which took place at Broad Street Church. Thank you to all parents who offered to support us walking to and from the church. The staff at The Garth School enjoyed performing a special perfomance of 'Heel The World' in order to raise money for the Ebola Crisis in West Africa! As a result of your generosity a total of £67.70 was raised! One of our pupils suggested that it would be a nice idea to end the term with a treat for all of those pupils who have behaved well and worked hard. Mr Bland agreed with them, and an end of term Halloween Ball was arranged for pupils and staff! Well done to all of those that dressed up for the event....including some of our staff! We were invited to attend the Lincolnshire Special School X Country Championships, held at Taverham Hall Norwich. We had a fantastic day with all our pupils challenging themselves. I was proud of everyone who took part. George Stubbs is now the Lincolnshire Champion finishing in 1st place. Stevie Fletcher came in 4th place and Alice Amess in 5th Place. Our under 16 oys won the team trophy. A great all round team effort.